Sunday night’s concert for the Festival of Contemporary Music brought the Tanglewood Music Center orchestra to the Ozawa Hall stage for the first of three concerts surveying Elliott Carter’s symphonic works. Carter has always had an unusual relationship with orchestras, I think, because he considers music-making to be an activity of assorted individuals more than that of a monolithic ensemble. For much of his career, orchestral works were few and far between; the recent upturn in his orchestral output has been on the foundation of a series of concerti, two of which occupied the first half of this program. The first, 2003’s Dialogues for piano and orchestra, was actually the most traditionally concerto-like, in large part because the ensemble’s main gesture of longer, sustained chords corresponds, deliberately or not, to a classically accompanimental pattern. The solo part was taken by Nicolas Hodges, who premiered the piece; the contrast with Charles Rosen’s morning performance in the Double Concerto was fascinating, as both pieces share a similar approach to the keyboard. Hodges was supremely virtuosic, dispatching thorny hedges of passagework, but playing with more of a “new-music” tone—bright, sharp, clear, lightly pedaled—than Rosen’s more lush approach. Hodges’ color gives the illusion of more objectivity, perhaps, which may be why it was easier to hear distant ancestral echoes of earlier pianistic styles in Carter’s writing: a bit of Ives’ “Concord” Sonata here (particularly the “Emerson” and “Hawthorne” movements), a hint of Copland’s Piano Variations there. Dialogues was commissioned by the BBC, a reflection of the European esteem towards Carter that sometimes results in him being characterized as a more “European” composer, but the piece rings with a profoundly reinvented essence of post-Romantic Americana. Conductor Erik Nielsen led a reading marked by a real assurance of instrumental balance, always so key in successful Carter performance. After intermission came one of the festival’s two world premieres, Sound Fields for string orchestra. And this one caught everybody off-guard. 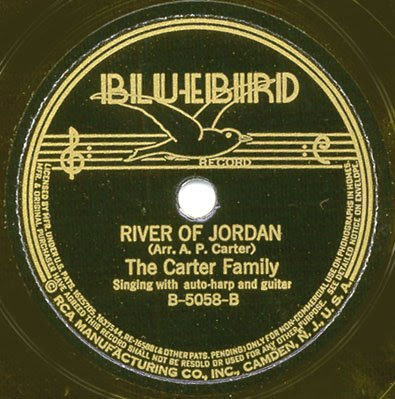 It’s a short piece, 4-5 minutes (conductor Stefan Asbury and the orchestra performed it twice), in an unvarying slow tempo, composed of a series of sustained, soft, overlapping chords derived from a single top-to-bottom collection, each part playing their own individual note throughout; Carter only deploys the full chord once, about two-thirds of the way through, to ravishing effect, before closing with a pair of intervals that form a near-tonal cadence. The only precursor in Carter’s output would be the klangfarbenmelodie movement in the Eight Etudes for woodwind quintet, but even that doesn’t come close to the atmospheric effect of Sound Fields. It’s in fact uncannily like—to name two composers I never thought I’d use as reference points in a Carter discussion—Morton Feldman or late John Cage, although hearing the piece twice made you realize how much the piece still unfolds in a Carter-like way, albeit in uncharacteristically slow motion. Asbury then led a spot-on reading of the evening’s “classic” work, the 1955 Variations for Orchestra. With the full string complement remaining on stage, this was certainly the most grand rendition of the Variations I’d ever heard, and also one of the most effortlessly accomplished. Even within the vocabulary of standard mid-century American modernism, Carter’s favorite themes come to the fore—the rhythmic manipulations in the number of measures instead of the number of subdivisions, the instrumental layers by groups rather than individuals. But the interrupted-melody rhetoric that distinguishes the recent solo concerti is already there, as is the big-then-unexpectedly-intimate ending. The group’s sentitivity to shading and phrase made the famed continuous-acceleration variation not just an ingenious technical achievement, but a quantum paradox, inexorably moving away at increasing speed while simultaneously arriving at a state of expectant repose.